Wifi networks are fast becoming the most popular form of internet connection. Most people prefer using wifi over the standard network connections. It has got to a point where it’s no longer a luxury, but an essential utility just like water and electricity. That’s why restaurants with fast wifi speeds get more customers, and why some people may move from one building to another. Currently, the biggest concern for internet users is the ability to access fast wifi from any location, at any time. People want to stream videos while tanning at the beach, and play online games while taking the bus. This has led to the popularity of mobile hotspot devices. Network providers have identified this market, and are currently offering cheap no contract unlimited data hotspot plans. A mobile hotspot is a portable device that can create a wi-fi signal, just like a router. But unlike a router, it does not rely on cable internet or any form of wired connection. Instead, it uses a wireless mobile network connection. The device receives mobile data signals and sends out wifi signals to all connected devices. With a good wifi unlimited data hotspot no contract plan, you can enjoy fast wifi speeds from any location, any time. Luckily there are several providers who offer amazing unlimited mobile hotspot plans. Many at times you would wish to stream an Instagram video, upload a file or listen to online music but you can’t. Simply because there is no wifi available. Alternatively, there may be an open network but its speed is terrible. With your own mobile hotspot, you can stay connected from any location: in your car, at a fast-food restaurant, on the train, etc. This is particularly important for a family or people with multiple devices. An entire household can connect to a single mobile hotspot and still enjoy fast speeds. Alternatively, if you are the kind of guy that likes to stream a podcast on your phone and work on your tablet while your PC downloads some files, this is the best option for you. 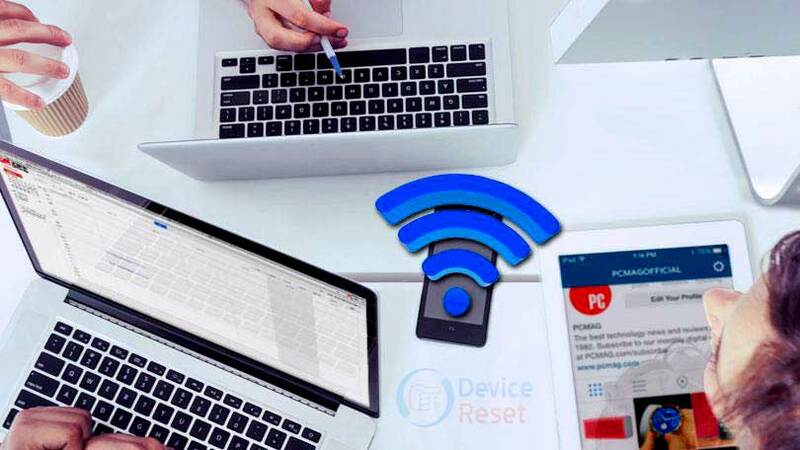 All the three devices can utilize the same mobile hotspot. It gets tiring, and really annoying to have to request wifi passwords whenever you visit a new place. Some hotels, restaurants, and bars change the password quite frequently, and it gets annoying to be the guy that is always asking for the password. If you had your own mobile hotspot, you wouldn’t need their passwords. As much as we hate to think of it, public networks are very insecure. Hacking is not a myth, it is real. And whenever you are connected to a public network, there’s a possibility that a hacker may be accessing data from your phone. This can be quite dangerous in an age where we have a lot of personal information and content on our phones. Sticking to a safe secure network, like that of your very own mobile hotspot, is a much better idea. There are two general ways to create a portable wifi signal. 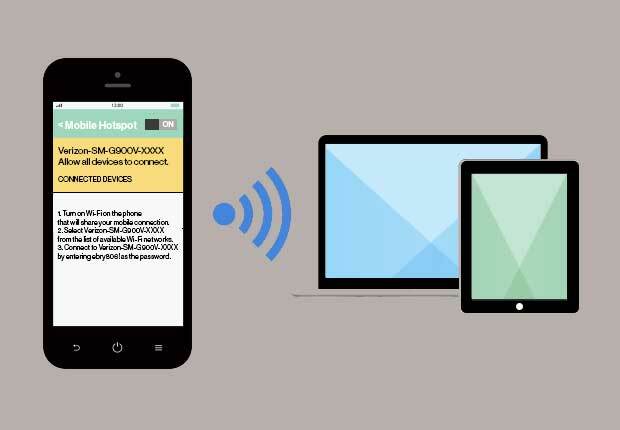 One is to use a mobile hotspot device, and the other is to create a wifi connection using your very own phone. This is possible because any device that has wifi connectivity can equally create a wifi signal. It is a two-way traffic. So which is the better option? Well, each has its ups and downs. Using your phone to create a hotspot is convenient as you won’t have to carry two devices with you. On the other hand, it has two major disadvantages: It drains your battery really fast. And having a dead battery is far worse than being offline. Secondly, it limits the number of devices that can connect to the hotspot. As a mobile hotspot device, not only do you get longer battery life and better connectivity, but you also have the option to decide which network provider to subscribe to. This is a huge factor to consider because using tethered hotspot limits you to your cell phone provider, and you cannot select an unlimited data hotspot plan of your choice. So taking that into consideration, a mobile hotspot device is a better option. After all, the device is usually less than three inches; it can comfortably fit into any guy’s pocket. For ladies, you wouldn’t even know if it is in your purse. Additionally, a mobile hotspot is fully dedicated to providing internet. This means no downtime. Its ability to connect up to 20 devices make it suitable to serve all your home devices. From the TV and gaming console to hidden home security cameras and alarms, all can stay connected 24/7. Given that hotspot internet has a big market in the country, all mobile network companies have hotspot data plans. However, only a few have no contract unlimited data hotspot plans. The rest sell data packages at different prices, say 6GB for $40, 80GB for $50 etc. This is however very costly, and to most people, not worth the freedom that you get from using the mobile hotspot. Luckily, the few companies that offer wifi hotspot unlimited data plans are the biggest players in the industry and can comfortably serve all customers in all locations. Before we go any further, I need to clarify what unlimited truly means lest I be called ignorant. 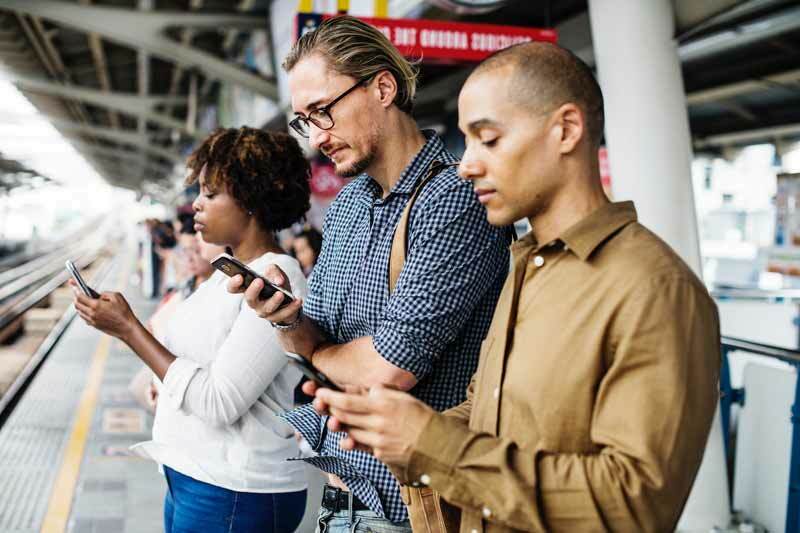 The term unlimited’, as currently used in the mobile network industry refers to guaranteed internet connection throughout the period of subscription despite the volume of data consumed. This means that your network provider will at no time disconnect your service. However, it gives no guarantee in regards to speed. Network providers, in a bid to maintain the integrity of its service to all customers, place a data limit on all unlimited data hotspot plans beyond which your browsing speed is reduced. This is a principle known as deprioritization. off-peak hours, it can be just fine. You therefore still maintain your connection but at a lower quality. Unlimited data plans are offered in these two major categories. 3G plans are cheaper but at the expense of low speeds. 4G/LTE unlimited mobile hotspot plans are what you should seek. The speeds range from 3 to 40MBps. This delivers the true internet browsing experience that we all seek. The company will sell you a 4G/LTE unlimited data hotspot plan but is its 4G network cover good enough. Truth be told, America does not have full 4G coverage in all locations. You, therefore, need to verify that the provider’s network is fully enabled in most of the area that you intend to use your hotspot internet. For instance, very few providers have good coverage away from cities. So hotspot users rarely get to enjoy fast internet speeds when on the road for major trips. You, therefore, need to try out the network quality in several localities before committing to an unlimited data hotspot plan. As usual, it all comes down to how much we are willing to part with. Though sometimes overlooked, this is a huge determining factor. The charges of unlimited data hotspot plans are generally in the range of $60 to $90 a month. To fully see the cost, look at the annual figures. An $80 plan will cost you about $1000 a year. That’s a lot. Therefore, you have to select a plan that is worth every penny. The maximum number of devices that can be connected: 10 major devices such as phones and PCs, or 20 small devices such as smartwatches. The best thing about this plan is its accessibility from most locations. Verizon is the biggest player in the country, and one with the best 4G network coverage. The network also offers a pretty decent speed even after exceeding your allowed data usage limit. If the price is too steep, you can lower it up to $40 per month by compromising on connection speeds and reducing video connection to 480p. All said it is definitely an unlimited data hotspot plan to consider. AT&T internet package is pretty solid too. Good connectivity, with a good data limit. There are no limitations on video quality even for smartphones. Additionally, the provider offers free HBO streaming to all users who subscribe to this plan. That is a huge bonus. Cost: $60 per month for 1 line, $40 for 2, and $30 for 3lines. The best feature of Sprint is that it has a lot of offers to both new users and existing subscribers. New users enjoy extremely low rates, with long free trial periods. As for existing subscribers, the price is much lower if you have multiple lines. This is a general T-mobile package with the above terms applying to its mobile hotspot features. It is very affordable, and the entire package offers great terms for calls and texts. Additionally, T-mobile has the best speeds, at least according to the latest testing. And, they offer free Netflix subscription. For users who love quality TV, this is the holy grail. The above unlimited data hotspot plans are not exclusively limited to hotspot connectivity. They are part of network packages that have different offers in terms of texts and call minutes. You might want to consider them as well before subscribing to one. Mobile internet hotspot is an amazing way of guaranteeing solid connection speeds from any location. With a good unlimited data hotspot no contract plan, you can comfortably enjoy this without spiking your internet bills. Multiple mobile network providers are currently offering decent unlimited mobile hotspot plans. You can easily identify one that serves you best and starts enjoying their services. So go ahead and get yourself a plan, trust me, you won’t miss seeing any wifi networks available’ notification. With a good unlimited data hotspot no contract plan, you can comfortably enjoy this without spiking your internet bills.